Let’s rock your weekend with our selections of the best events in town. 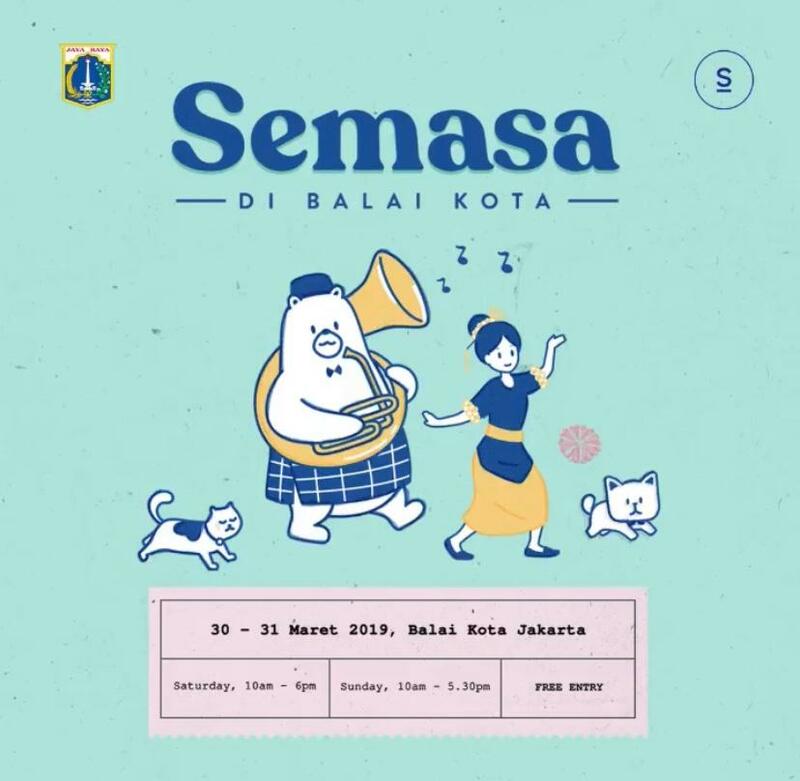 Semasa is back this year with a twist. Usually Semasa is being held at Kota Tua but this time, Balai Kota it is. In the office of Jakarta’s Governor, we can explore the classic heritage building that has been Governor’s Office since the 1900s at Jalan Merdeka Selatan while supporting more than 60 local brands, arts, ceramics and many more. 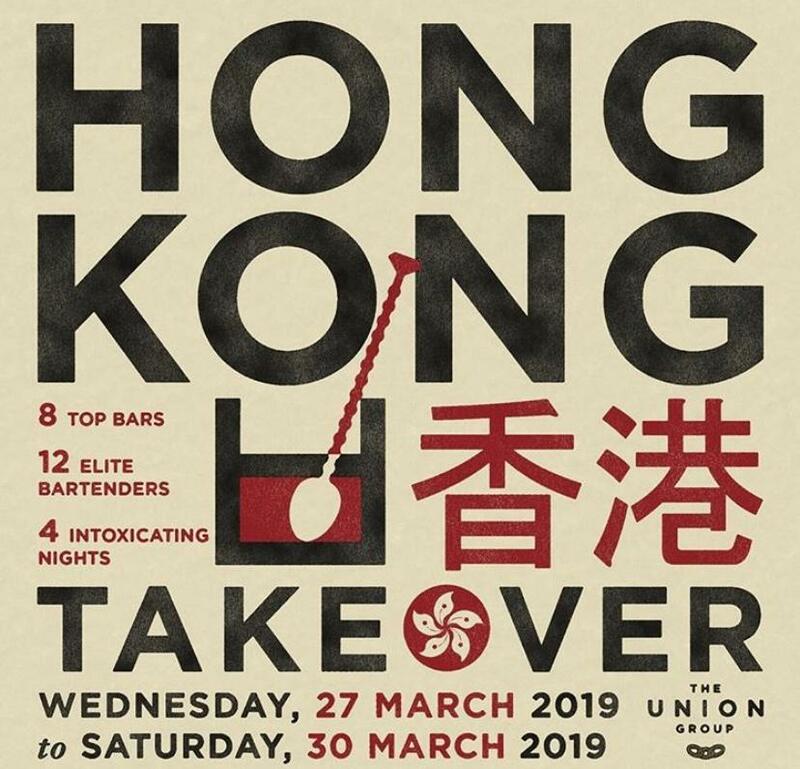 Over 8 top bars, 12 elite bartenders and 4 intoxicating nights filled with Hongkong’s best.  Brought to you by The Union Group and will be happening in several places such as The Union, Cork and Screw and many more. Scheduled your weekend for tipsy times with award-winning mixologist from one of Asia’s most vibrant cocktail capitals. Join an open talk with numerous great people in Indonesia. Not only to talk about issues there is, but you can also see amazing performances from artist such as Andien, Audy, Marcell, Yovie and many more. 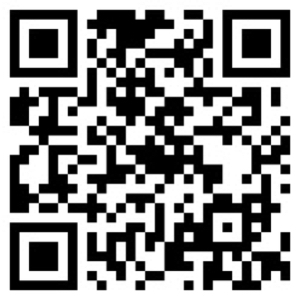 Fresh graduate and looking for jobs? We got you covered. 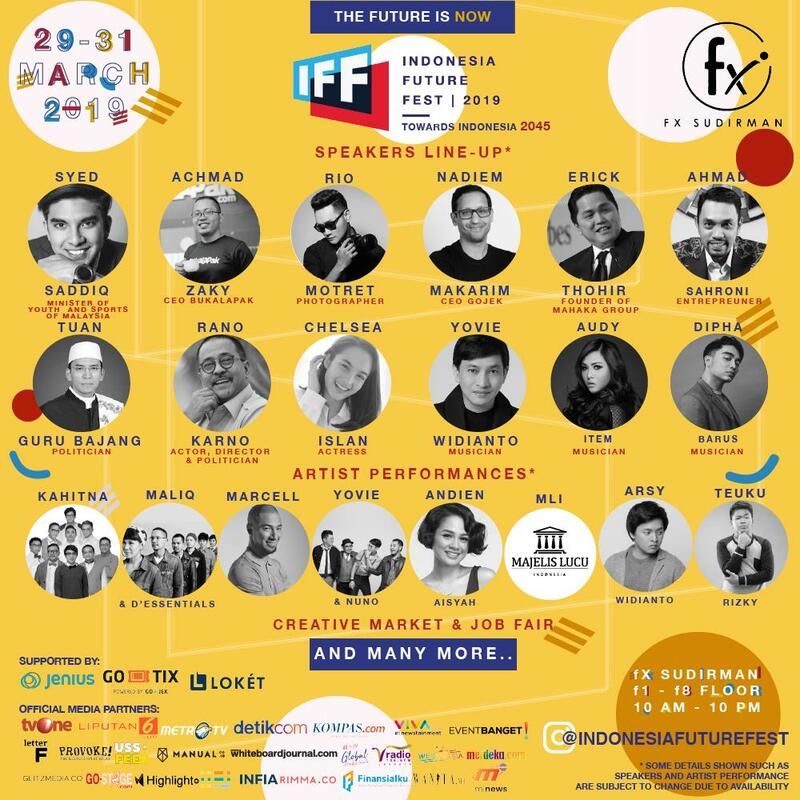 Enjoy the creative market provided this weekend only at fX Sudirman F1-F8 Floor. 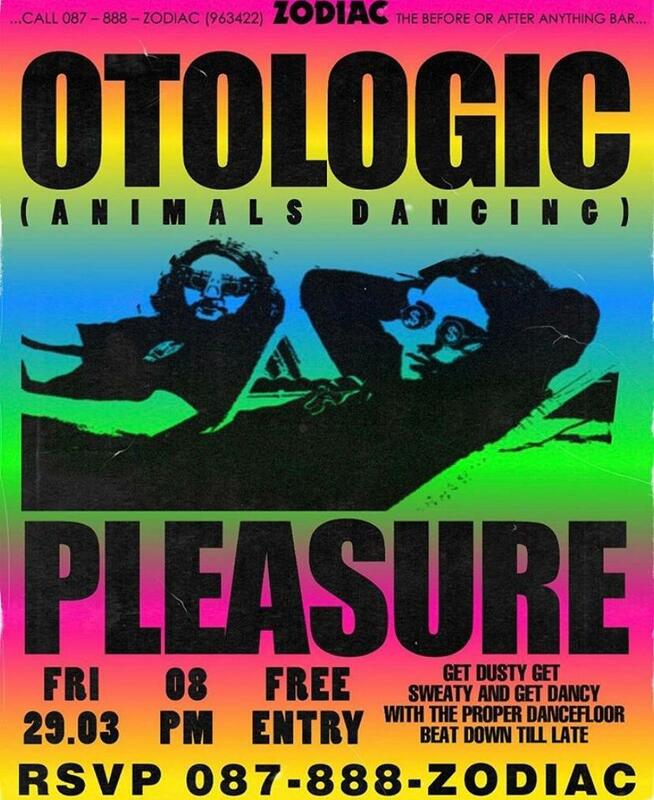 This weekend, Zodiac is bringin’ you Otologic of Animal Dancing on deck with Pleasure Boys! Clear your calendars and bouncing along the exciting new hits of Pleasure x Animals Dancing. Valar Morghulis – a Game of Thrones fan? It’s just counting days before season 8 starts a.k.a season finale! 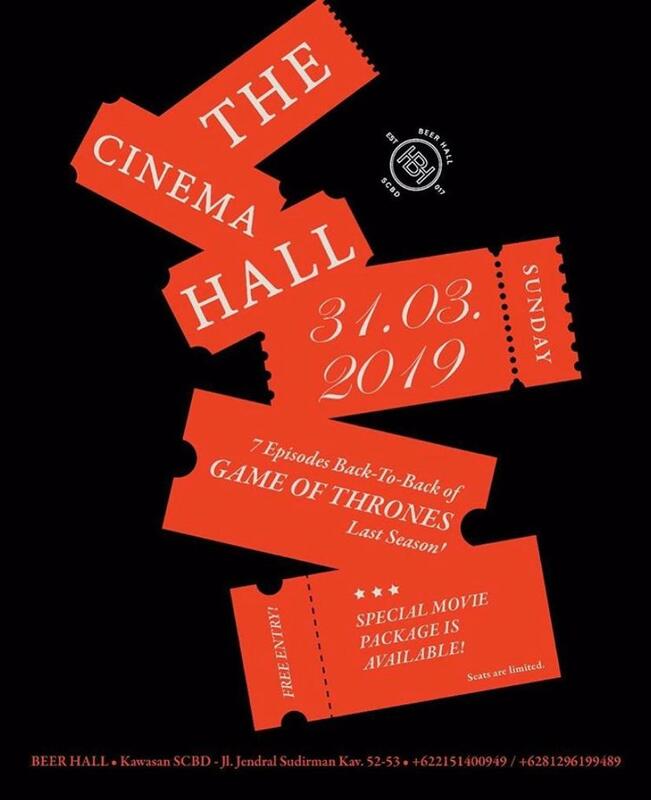 The Cinema Hall at Beer Hall SCBD is inviting you to watch 7 episode back-to-back of Season 7 Game of Thrones for free! Starts from 12pm, and there will also be special packages just for you. See you there GoT fans! For more info: IG @beerhall. 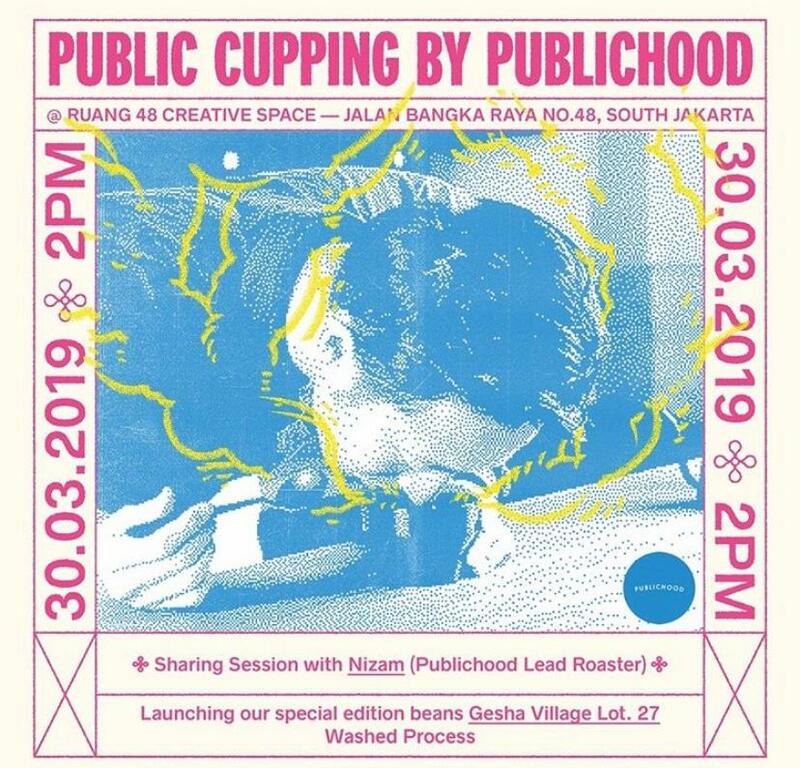 Mark your calendar because it’s the first cupping of the year! Lets explore the taste and texture of Geisha Village Lot.27 Washed Process beans, roasted through a uniquely Publichood method. Welcome our special guest Majapahit Indonesia and have a sharing session with Nizam Pasha Lolowang. Enjoy happy hour at DingDongDisko with 1L Heineken only 100k++! 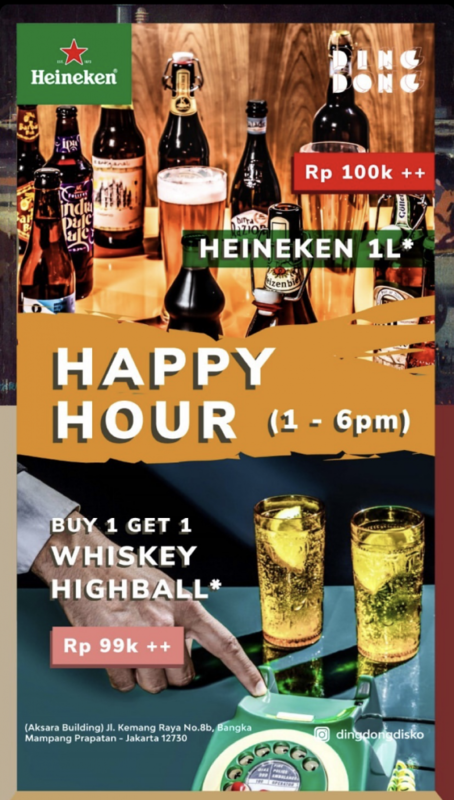 Not only just that, buy 1 whisky highball get 1 and only cost you, 99k++. 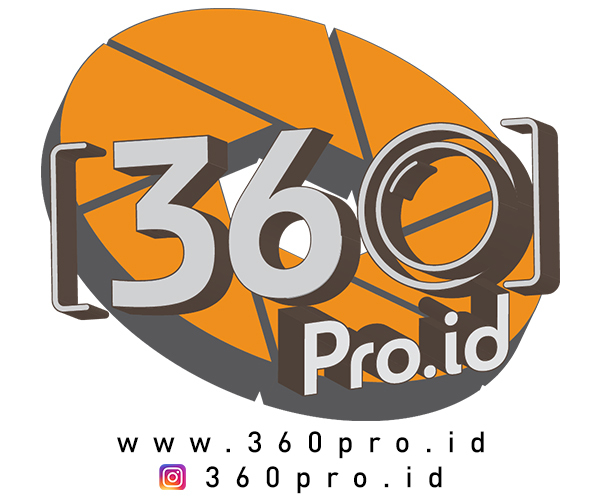 Visit them at Aksara Builidng Kemang Raya, Mampang Prapatan.